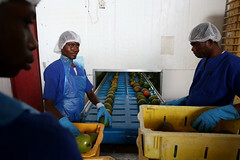 Developed in 1996 when the effects of climate change were yet to be felt, Tanzania’s SIDP has now become out of sync with the urgent need for synergising agro-processing development with other climate, trade and food security interventions. This Briefing Paper argues that the SIDP review set for 2020 should be seen as an opportunity to take up such synergies right from the design phase. In particular, it suggests concrete interventions in the areas of climate change, food security and trade which should be considered in the SIDP revision.